Keep up to date with our latest news at Strand Design. 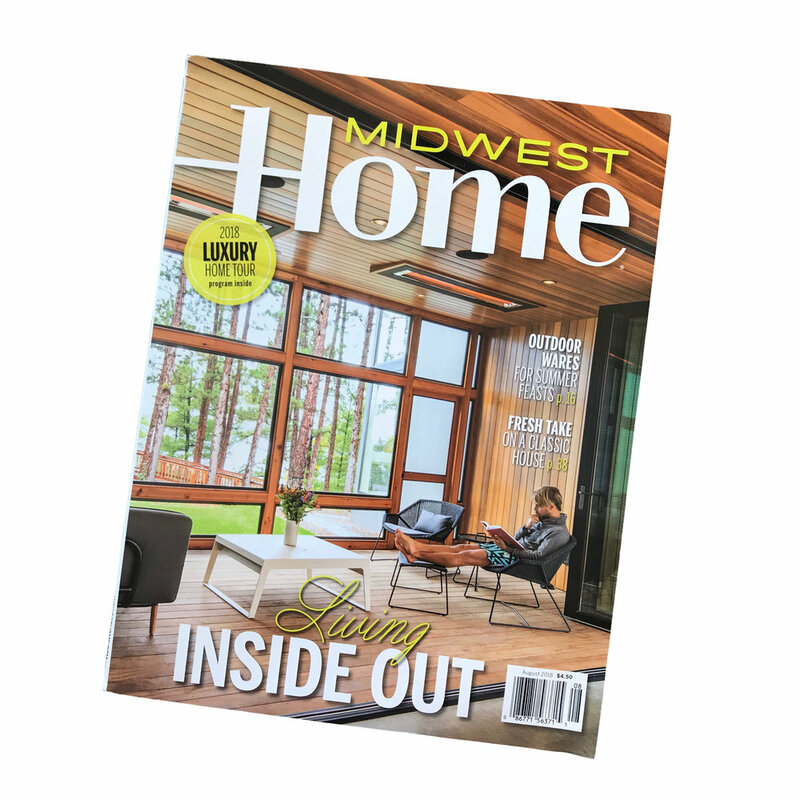 Honored to be on the cover of this months Midwest Home magazine! Check out this great write-up on our Northern Lake Home project, "A Modern Un-Cabin." August, 2018. A Crisp & Clean Cabin. Check out our latest feature in the Wall Street Journal's Mansion section "Farmhouse Fever Sweeps the City." It was a great project with great clients. July, 2018. Farmhouse Fever Sweeps the City. May, 2018. Labor of Love. Thanks to Midwest Home for featuring our urban farmhouse renovation in St. Paul! August, 2016. Urban Farmhouse Transformed. Grateful to be featured in this summers Artful Living Magazine- we made the list of Minnesota's most stunning pools for our Theodore Wirth Ranch Project! June, 2016. Minnesota's Most Stunning Pools. Check out the latest Mpls St Paul Magazine featuring our Theodore Wirth Ranch project! "Frank Lloyd Wright Meets Palm Springs in Golden Valley." April, 2016. Frank Lloyd Wright Meets Palm Springs in Golden Valley.